Every other month, I contribute a vegetarian column to Sauce, a local food publication here in St. Louis. 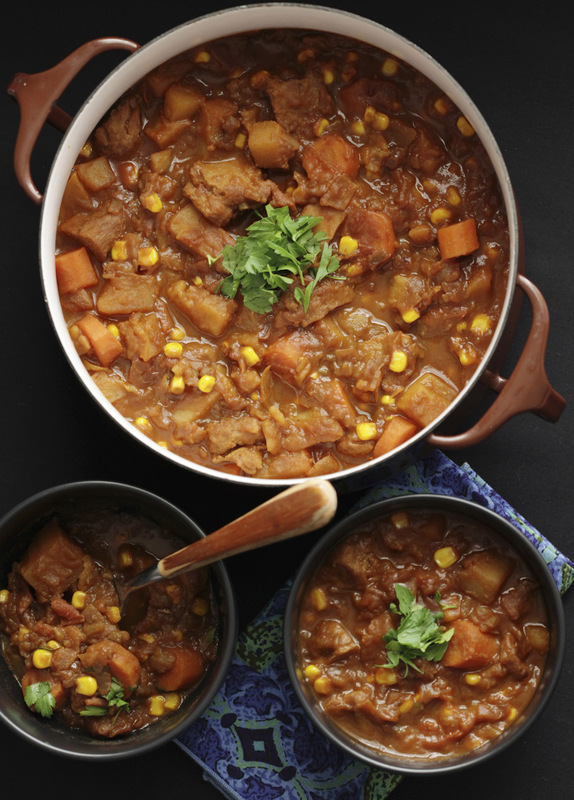 This month I introduced our readers to the wonder of seitan — and its amazing ability to taste like stew meat — and I have to say, I'm pretty proud of it! I took some elements from my mom's recipe, and some from food connoisseurs such as Mollie Katzen, Mark Bittman and the staff at Cook's Illustrated, and what came together was a slightly sweet take on a classic comfort food recipe. One of the interesting things I found while researching the recipe was there are tons of variations of this dish. I grew up with a simple combination of beef, carrots, onion and potatoes, but my husband's family uses corn in theirs. Others didn't use carrots at all, and some put broccoli in theirs. What about you? 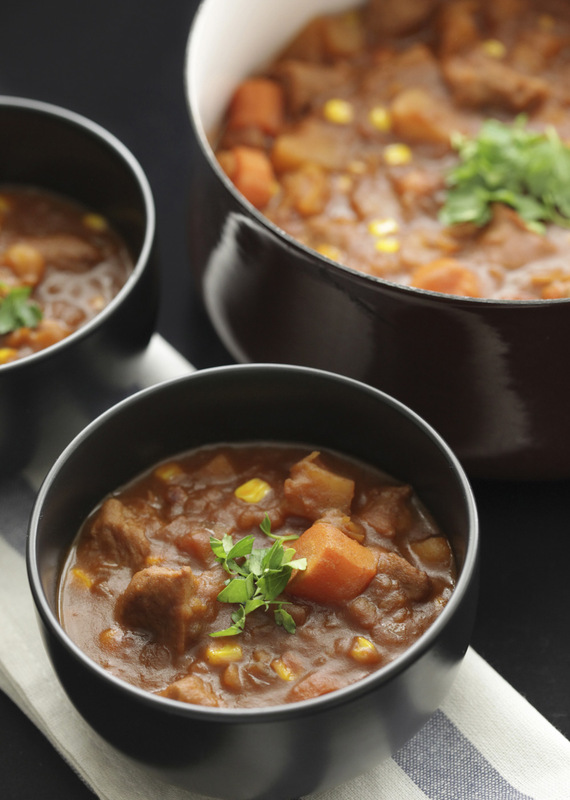 What are the staple components of beef stew in your household? If you'd like to try my recipe, hop on over to the Sauce site for the complete recipe, and also check out my friend Kristi's photography site. She shot the dish and made it look so yummy! All photos by Kristi Schiffman Photography.